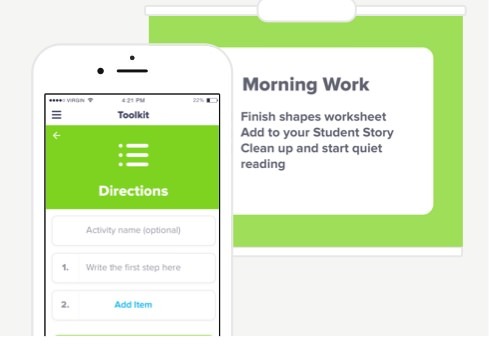 Easily display classroom directions, so students always know what they should be working on. Repeating yourself is history! 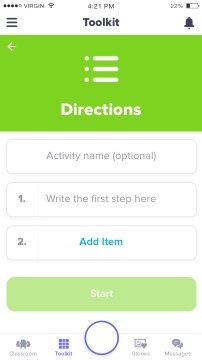 Step 1: Use the Directions tool. Step 2: Well, we forget step two, but it doesn’t matter because now you can display numbered directions for the class to follow. No more repeating yourself on what to do next, and never lose your place when giving directions. It’s easy as 1, 2…sorry, what were we saying? "Communicating clear directions is important, but verbally isn't enough! 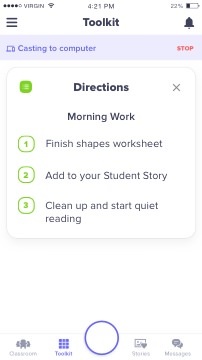 I love how the Directions app makes it easy for my students to read and revisit classroom directions."